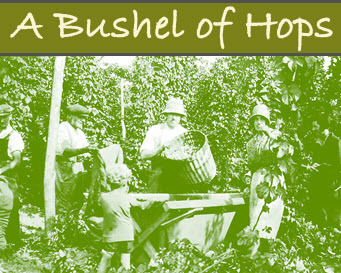 Our family have been hop growers for generations in the High Weald of Kent and Sussex. I am passionate about hops and love the whole hands on aspect of growing and caring for them throughout the year. A Bushel of Hops was born during a particularly busy hop picking, in one of those casually day-dreamy ‘wouldn’t it be lovely if…’ moments. The seed germinated, gained momentum and has come to fruition. To most people it seemed a ridiculous idea but to a tiny handful of people whose support and trust I had, this project blossomed, I am ever grateful for their belief in me. To them a huge thank you. 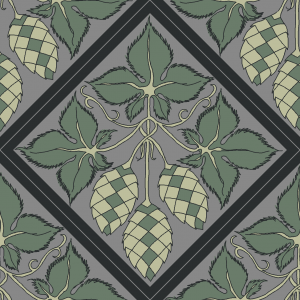 So the dream – well it was simply to grow a small quantity of a selection of hop varieties including a few Heritage varieties, to dry them in a traditional oast house and make them available to the home brewer. All varieties are grown and dried on my own farm in the High Weald so you can be sure that when you buy hops from us – they are freshly dried and have been nurtured all year to provide you, the craft brewer, with an excellent end product that can only enhance the flavour of your home brewed beer. Our guarantee to you is that ‘No hops will ever be stored to be sold the following season’. Each year during September the traditional ‘hop picking’ harvest takes place. Therefore packaging will begin after harvesting ends at the beginning of October for dispatch from mid October onwards. First in best dressed! Orders will be dispatched in rotation as they are received until varieties have run out. Please sign up to our newsletter on the Right so you can be one of the first to be notified of new releases.